Chances are, if you are like me, and you saw the words "QR Codes" in the title of this post, you did not click through to keep reading. But if you are reading these words, then you must have. So how do I explain this contradiction? Simple. QR codes are pretty astounding technology and you must know that, but they have become irrelevant because, well, they're ugly and whatever the opposite of engaging is. So you must have read the title and thought to yourself "OK, well we agree that QR codes are cool but they are irrelevant. If a company can make them appealing, then it is worth my click." Great. Now that I psycho-analyzed you and an action that took you a fraction of a second, let's get to the topic at hand. So QR codes, that little black and white box that brands all over stick on their logos, their business cards, and even on their mobile apps. Yes, I have seen a QR code inside a mobile app. Now how exactly does this company expect me to scan something with my phone that is on my phone? You see, that is exactly the point. Brands don't really care that consumers are not scanning these ugly little boxes, they just know they need to have them. And so they do. And no one scans them. And they become completely irrelevant as a tool to convert digital content into real life interactions. But what if a brand that has spent thousands of dollars, sometimes more, on a logo, branding, and design can integrate a QR code into its already existing and beautiful design language? 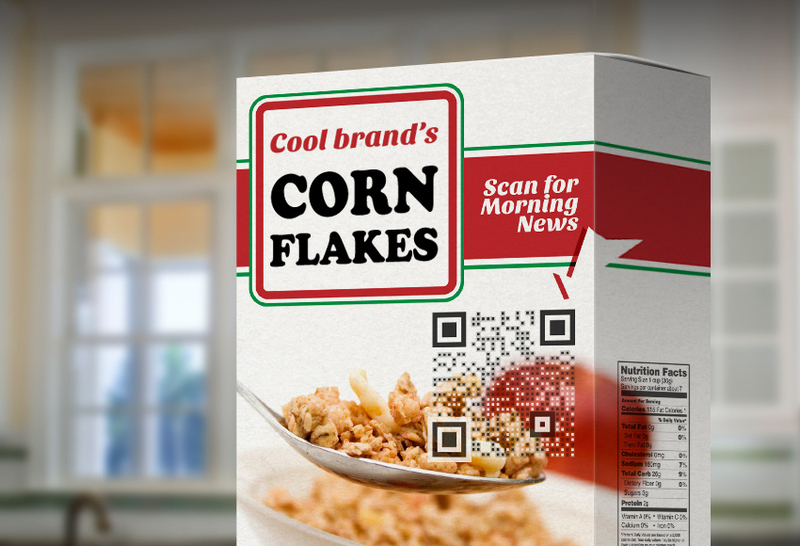 What if QR codes could bring their ability to digitally scan a logo, which automatically brings you to the product you are looking at and with one click, you were able to buy it? 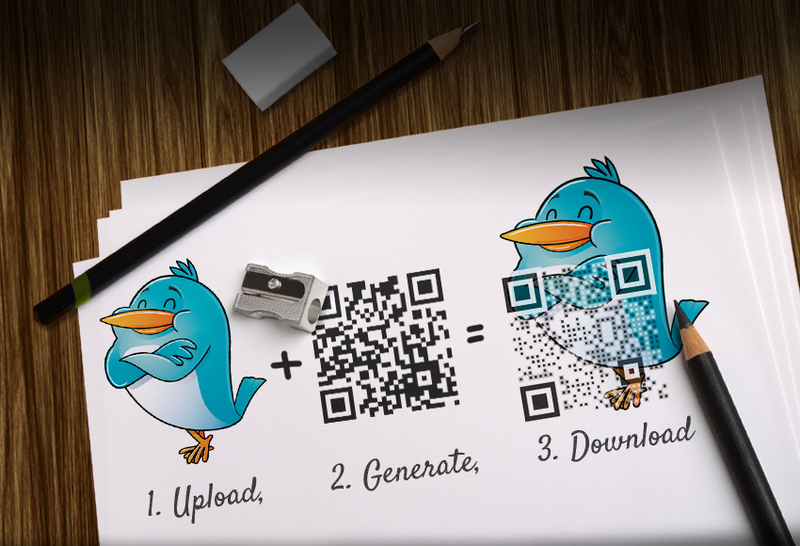 Enter Visualead with its visual QR code generator that enables anyone, any company to easily generate a QR code that will lead to any URL, whether it is a Twitter account, a Facebook account, a landing page, or pretty much anything else, and is aligned with the company's already existing branding. The company has raised some initial seed money and is now looking to reach advertisers and brands who would be ideal for their solution. Now, here is the thing. The idea is stellar but what disappointed me about Visualead was two things. One, the end product is still not as pretty as I would like. As you see in the sample below, it is still very clear that it is a QR code and not the logo. I raised this concern to the company and was quickly reminded that first of all, you still need the four points that are scan-able, but more importantly, if the QR code looks like a logo, no one will know to scan it. Having the logo as the dominant factor of the design, combined with the little boxes, is exactly what makes it engaging and appealing. Valid point. Having said that, the CEO did tell me they have some plans to make their QR codes more visually appealing while maintaining the scanning effect. I guess we'll have to wait to see just how they do that. The other thing that I don't love about Visualead is the business model. Once you finish the very short process of creating your visual QR code, you are asked if you want to pay for some premium features including advanced analytics for your generated code. Now don't get me wrong, a company deserves to monetize its patent-pending technology, but in my humble opinion, this is not the way to do it. 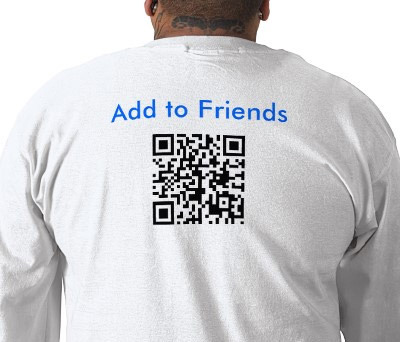 Offer the QR code and all its features for free and when the company realizes just how valuable this technology is to their bottom line, then is when they will be more willing to pay. Not a fan of paying for something that has yet to prove itself to me. Then again, we all download apps from the App Store without trying them first, so what do I know? There is also an option to charge the company once the generated QR code reaches a certain threshold of scans. That would mean the solution is effective and I think companies would be more open to paying for it.